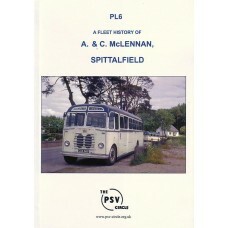 A Fleet History of A & C McLennan of Spittalfield.We have produced an update to this public..
PM13 General Motor Carrying Co., Simpson's & Forrester's & Scottish General Omnibus Co. Limited. A Fleet History of General Motor Carrying Co., Simpson's & Forrester's & Scottish General Om..
A Fleet History of W. Alexander & Sons Limited Part 1 1914-31..
PM15 Lowland Scottish Omnibus Ltd., Lowland Omnibus Ltd.
PM16 Eastern Scottish Omnibuses Limited. 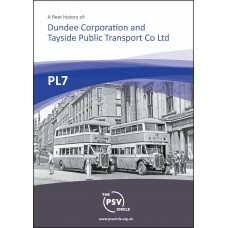 A Fleet History of AA Motor Services Limited..
A Fleet History of Dunlop, Greenock MS, Rothesay Tramway, Paisley & District, Youngs Bus Se..
A Fleet History of Clyde Coast Services Limited..
A Fleet History of Scottish General Transport Co. & predecessors of Western SMT..
A Fleet History of First Aberdeen & its predecessors..